It doesn’t take long for this impression to kick in. 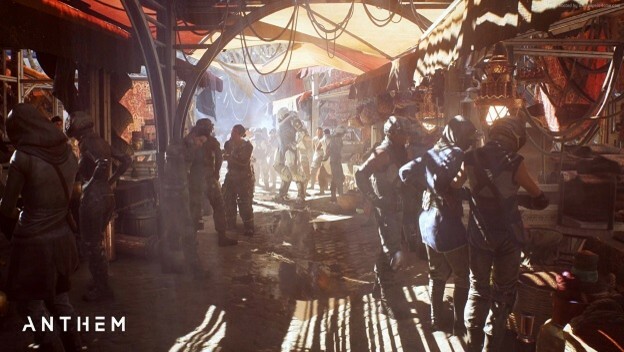 In fact, it’s the literal first thing you’ll notice in Anthem ​and, as they say, first impressions are hard to shake. I’ve been telling people for two weeks now, when they’ll listen to me, how beautiful this game is. Every blade of grass, every leaf, every shimmer in the scenery looked beautiful on the top of the line rig I was playing on. I’m hoping this aspect of the game is preserved on every version of Anthem.